Portion of the land where Sylvania Bowling Club is now located was originally purchased for £35 sometime in 1955 from a local poultry farmer, Wally Keighley. A strip of grass was put in for use as a bowling rink with the rink being maintained by Wally’s nephew, Ray Keighley. Additional land was purchased again from Wally in 1957 for around £150 to enable expansion and space for a clubhouse. Further money was raised from members and along with a bank loan, it was now possible to commence construction of the clubhouse which, along with the number 1 green, was officially opened on 29 March 1958. When poker machines were legalised in NSW in 1961, Sylvania Bowling Club was one of the first licensed venues in the State to purchase machines. There are some funny stories – best told over a cold ale at the Club – about police raids and people spending the night in the Sutherland cells because the club was operating without being formally licensed. 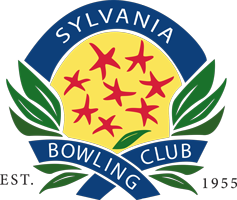 In April 1962, the Bowling Club paid £2,500 to Sylvania District Community Advancement Society Ltd to purchase the remaining portion of land the Club now occupies.